After returning from China where he had a successful meeting with President Xi Jinping, the DPRK’s head of state Kim Jong-un is set to hold his first face-to-face meeting with his South Korean counterpart Moon Jae-in. This will only be the third time in history heads of state from North and South Korea have held such a meeting. The summit will take place in Panmunjom, the “truce village” which is divided between the two Korean states. On the third of March, following the completion of the 2018 Winter Olympic Games in which athletes from both states marched under a Korean Unity Flag, a high level delegation of Moon Jae-in’s cabinet travelled to Pyongyang where it later emerged they confirmed Kim Jong-un’s willingness to hold direct talks with the US President. Moon and Kim have previous held phone conversations, but the meeting on the 27th will be the first time they have met. During the Olympics, Kim Jong-un’s sister Kim Yo-jong represented the country’s leader. It was there that she handed Moon Jae-in a handwritten invitation to Pyongyang from her brother. 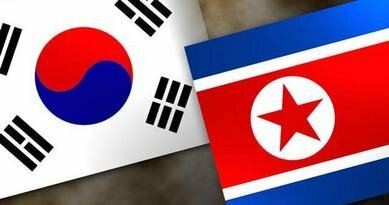 The 27 April meeting looks to further cement plans for long term cooperation between the two Korean states. It is thought that both leaders will discuss Korean denuclearisation as well as the DPRK’s concerns regarding provocative US military exercises on Korean soil and the delivery of American made weapons, particularly the THAAD missile system to the South. China will also be an important factor during the meeting, in spite of only establishing relations with Seoul in 1992. Today, China and South Korea are key trading partners, while under Moon Jae-in, relations with Beijing have reached an all-time high. It is thought that in October of 2017, Moon spoke with the Chinese government regarding Beijing’s concerns over the presence of US made THAAD missiles on the Korean peninsula. Donald Trump’s back and forth trade disputes with South Korea has only worked to force South Korea to consider its economic future and necessarily pivot its attention to partnerships with both China, Russia and ASEAN due to the unpredictability of Trump’s trade policies, even among long standing allies. As China is the biggest victim of Trump’s aggressive protectionism, there is every chance that some of the warmth the Chinese President showered on his DPRK counterpart was partly motivated by China’s disgust at the US disregard for a stable commitment to free trade under the current administration in Washington. DPRK (North Korea) Leader Kim Jong-un has concluded a three day visit to China where he held talks with Chinese President Xi Jinping at the Great Hall of The People. This was Kim Jong-un’s first visit abroad since becoming his nation’s head of state in 2011. Xi Jinping offered warm words comparing the economic and social strides China has taken according to Xi Jinping Thought with the DPRK’s generally under-reported economic expansion, infrastructural boom and social improvements made under the leadership of Kim Jong-un. In spite of sanctions the DPRK economy has widely expanded in recent years. “Firstly, continue giving play to the guiding role of high-level exchanges. High-level exchanges have always played the most important guiding and promoting role in the history of China-DPRK relations. Under the new circumstances, I am willing to keep frequent contacts with Comrade Chairman through various forms such as exchange of visits, and sending special envoys and letters to each other. Fourthly, cement the popular will foundation for China-DPRK friendship. The two sides should, through various forms, enhance people-to-people exchanges, consolidate the foundation of popular will for bilateral friendly relations, especially enhance youth exchanges, inherit and carry forward the fine tradition of China-DPRK friendship”. While all of the points indicate that a Beijing-Pyongyang relationship that had been somewhat frosty in recent years has now openly thawed, the third point is the most crucial for the region in the long term. In drawing a parallel between the recent achievements of both countries, Xi Jinping is indicating the opportunity for further economic inter-connectivity between the DPRK and China is open and that Xi looks forward to establishing the principles of peace through prosperity as the basis for enhanced ties with the DPRK. This will also help pave the way for four-way economic integration between Russia, the two Koreas and China, in line with Russian President Vladimir Putin’s proposals in autumn of 2017. The warm words Xi has offered the DPRK and Kim personally, mean that China has recognised the DPRK’s outreach to South Korea and its stated desire to denuclearise as a guarantee of positive diplomatic developments in the region that will inevitably lead China to become a powerful insurer of peace for its smaller neighbour. In this sense, while talks between Donald Trump and Kim Jon-un are set to happen very soon, China has already made it clear that so long as the DPRK pursues its cooperative stance, Beijing will insure the safety and security of the DPRK. While this wasn’t stated explicitly, it was inferred beyond doubt. “Both Comrade Chairman and I have personally experienced and witnessed the development of China-DPRK relationship. …This is a strategic choice and the only right choice both sides have made based on history and reality, the international and regional structure and the general situation of China-DPRK ties. This should not and will not change because of any single event at a particular time. We are willing to work together with DPRK comrades, remain true to our original aspiration and jointly move forward, to promote long-term healthy and stable development of China-DPRK relations, benefit the two countries and two peoples, and make new contribution to regional peace, stability and development”. “We have noticed that Comrade Chairman has led the WPK and the people of the DPRK in taking a series of active measures and scoring achievements in developing economy and improving people’s wellbeing in recent years. The Chinese side expects political stability, economic development and people’s happiness in the DPRK, and supports the WPK, led by Comrade Chairman, in leading the people of the DPRK to advance along the path of socialism, as well as the endeavors by comrades of the DPRK in developing economy and improving people’s livelihood”. “Kim said, since the 18th CPC National Congress, the CPC Central Committee with Comrade Xi Jinping at the core has, with tremendous political courage and a strong sense of responsibility, developed new thinking and new ideas, put them into action, and solved many tough problems that were never resolved and accomplished many big things that were long on the agenda but never got done. These achievements fully proved that the lines of the CPC are correct lines that accord with the national conditions. In particular, Comrade General Secretary has put forward the requirements that the Party should exercise effective self-supervision and practice strict self-governance in every respect, which has contributed greatly to Party building and realized the overall Party leadership over all work. At present, the WPK is also intensifying its efforts in fighting against arrogance, bureaucracy and corruption. Kim said he sincerely hoped that China will continuously make new great achievements in the course of building a moderately prosperous society in all respects and a great modern socialist country”. “It is our consistent stand to be committed to denuclearization on the peninsula, in accordance with the will of late President Kim Il Sung and late General Secretary Kim Jong Il. The issue of denuclearization of the Korean Peninsula can be resolved, if south Korea and the United States respond to our efforts with goodwill, create an atmosphere of peace and stability while taking progressive and synchronous measures for the realization of peace”. The Kim-Xi summit is further proof that of all the powers with a self-described or self-evident interest in the Korean peninsula, it is the US which now stands as the odd man out. South Korean President Moon Jae-in remains committed to further dialogue and cooperation with the DPRK, while China and Russia have always worked to bring about the kind of developments in the region which are now occurring. The US side has been sending mixed message regarding the forthcoming Kim-Trump summit. While Donald Trump has personally spoken positively of the meeting, other US officials have been less charitable in their descriptions of a monumental endeavour in the name of peace. Ultimately, a lasting peace agreement, including and especially one that would formally end the Korean War, will only come about if the US guarantees that it will de-militarise its own presence on the Korean peninsula and refrain from sanctioning or provoking the DPRK in exchange for denuclearistion. With China fully on board the peace process as confirmed in the Kim-Xi summit, the US will sooner or later have to realise that in negotiating with the DPRK, the US will also be negotiating as part of a situation in which China is the ultimate king-maker, not only because of its power and geographical proximity to Korea, but because China has vested interests in peace and inter-connectivity with both Korean states that it will not want molested by an incomplete or failed deal from the US side. Where just months ago, it appeared that the dominoes of war were perfectly lined up and that the US might well flick them first, now everything required for a lasting win-win peace is in place. All it will take is the US coming into negotiations with the DPRK, with genuine intentions and a realisation that while the US is a major player on the Korean issue, it ultimately must give way to China’s leadership.